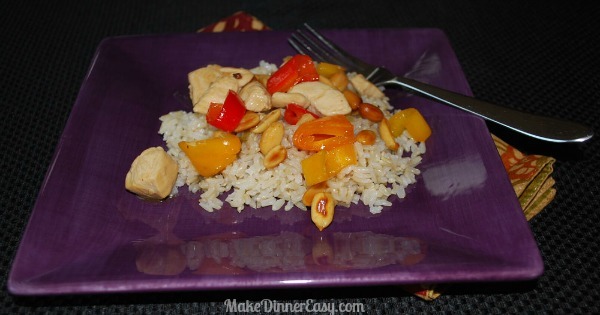 This Kung Pao Chicken Recipe is delicious and mild enough for kids to eat. It's an easy chicken breast recipe that uses peanuts, green onions,and sesame oil to provide lots of flavor in very little time. This may be one of my kid's favorite Chinese chicken recipes, mostly because they like to repeat the name of the dish over and over!. 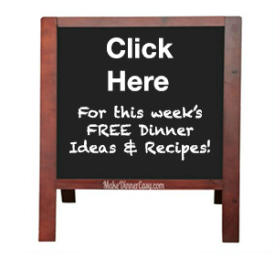 Don't let the length of the recipe directions make you think this recipe takes a long time to make, it really doesn't! I just try to explain all the steps fully to increase a successful outcome! In a large bowl, toss chicken with 1 teaspoon of sesame oil and set aside. Heat 1 teaspoon of canola oil in a large non-stick skillet and add peanuts. Saute the peanuts about 2-3 minutes, without browning them. Transfer the peanuts to another large bowl and set-aside. Add the garlic, white portion of the green onions and pepper chunks to the pan and saute about 1-2 minutes or until tender. Transfer these ingredients to the bowl with the sauteed peanuts and set aside. Return the same pan to medium high heat and add the chicken. Saute the chicken until browned and fully cooked, about 6-10 minutes. While this is cooking make the sauce by combining all of the sauce ingredients in a bowl or measuring cup. 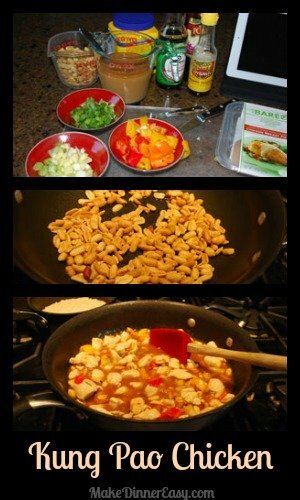 When the chicken is fully cooked, add the chicken to the bowl with the peanuts and peppers. Stir the sauce once more to make sure the cornstarch is fully combined (it tends to stick to the bottom!) and add it to the pan. Cook over medium heat several minutes until thickened, stirring constantly. Add the cooked chicken, pepper mixture, and peanuts to the sauce. Simmer for about 1 minutes until heated through. Serve over rice with green onion tops sprinkled on top.